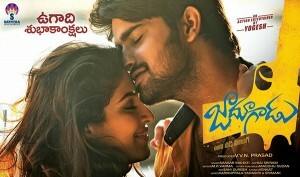 Naga Shourya’s Jadoogadu First Look! Jadoogadu is a Telugu film starring Naga Shourya and Sonarika Bhadoria in the lead roles. The director of the film is Yogie and the producer is V.V.N Prasad. This film will be the debut of Sonarika Bhadoria in the film industry.